A powerful and hassle-free supply chain strategy is very critical for business success, given the current competitive atmosphere. But the question is, what type of logistics solutions should businesses adopt to get high return on investment? Here are six tips for creating a result-oriented logistics strategy. With advancement in technology, present businesses can hardly operate within a specific local area. Manufacturers, suppliers or corporations are situated across the globe and hence businesses require technology for connection and communication with every stakeholder. Proper connection goes a long way in streamlining processes and offering increased visibility, enabling a business to cope up with real time challenges. This implies that businesses should adopt logistics solutions that can break geographical and time barriers, and deliver to all involved within the supply chain. The absence of a tailor-made logistics strategy can have a detrimental effect on your business. So, you should configure the supply chain solution according to your business need rather than opting for a solution which is simply a forced fit. There have been cases where businesses have failed in spite of implementing expensive ERP modules, simply because the ERP implementation was not aligned to the business practices or established rules. The best thing is to go for a solution which you can conveniently configure to suit your business needs. A large number of organizations are more inclined towards implementation of traditional knowledge to business processes, which is not a very good thing, keeping in mind the ever-changing business scenario. Manual procedures can bring in errors, so logistics automation through a centralized system can offer high degree of support for your business. Moreover, you can access information on a real-time basis, which unfurls the potential of your business with minimal time investment. For instance, if your business involves cold chain logistics, you need to address several related concerns to thrive in the marketplace. Futuristic planning calls for good amount of innovation. Whether you need to improve on warehouse management or are looking forward to power up your mobile enterprise with the help of fleet management software, the situation demands informed decision. So far as logistics strategy is concerned, a better-informed is the key to business success in the future. If you enter into a true partnership with your customer base, it will help you in bringing down the logistic expenses. With this in mind, it is best to go for a segmented logistics strategy that takes into consideration the needs of the most important clients first. If you are starting off with a new logistics chain, it is extremely important to assess beforehand the risks that the supply chain might involved. So, before you establish the chain, arrange for a complete risk assessment to minimize the issues in future. An advanced supply chain management can make a business highly responsive in the face of ever growing market demands. Through a winning logistics strategy, organizations can indeed achieve high return on investment. 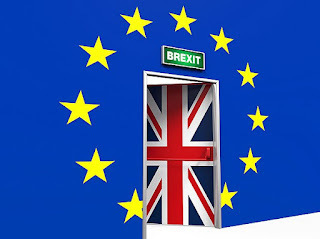 On June 23, the UK voted to leave the European Union. The decision has sent shockwaves across the world, with politicians, economists, the press and a good part of the globe’s population still trying to understand what this historical event means for us all. The financial markets, information-driven as they are, have not been so reflective- bourses the world over have nosedived. But what does Brexit mean for Nigeria? The United Kingdom is one of Nigeria’s key trading partners; the volume of trade between the two countries in 2015 was valued at £6 billion (about ₦2.4 trillion), and forecasts have pointed in the direction of an increase in this figure as Nigeria’s relationship with its former colonial master matures. A significant change in the outlook for the UK’s economy would no doubt affect exports to, and imports from that country. The UK has enjoyed benefits from being a part of the EU, such as not having costly restrictions on trade with Europe’s mainland. London, ‘the world’s financial capital’ has greatly benefited from this. 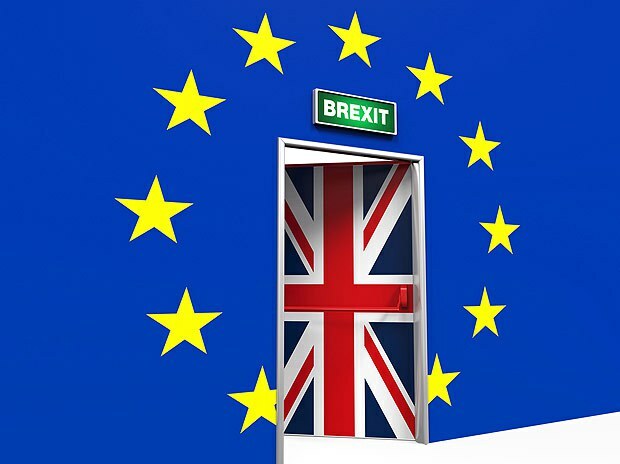 Exiting the EU means that it loses these benefits and investors may find it a less attractive investment location. As a result, the economy may suffer. If there is less money going into the UK, there will be less heading out of it for countries like Nigeria. Unless Nigeria offers opportunities which British investors see as worth their money, investment inflow from the UK is likely to contract. Interestingly, the outlook may be brighter for British exporters. The British pound has weakened considerably against the naira, in reaction to news that the UK will be leaving the EU. If the pound settles at a lower value relative to the naira, imports into Nigeria from the UK will be cheaper. Power generation equipment, textile garments and fabrics, and indeed petroleum products and related materials sold to Nigeria by the Brits will cost less. Consumers may think that this is great, but local producers of these goods may struggle to keep up with the intense competition that this causes. On the other hand, Nigerian exporters will moan about their wares being overlooked by thrifty Britons who find the Nigerian goods more expensive. A weaker pound could also make travels to the UK less expensive (this should excite Nigerian holiday makers). Oil prices have fallen today, raising fears that Brexit’s ripple effects may halt what has been a march towards higher prices for the commodity in recent weeks. 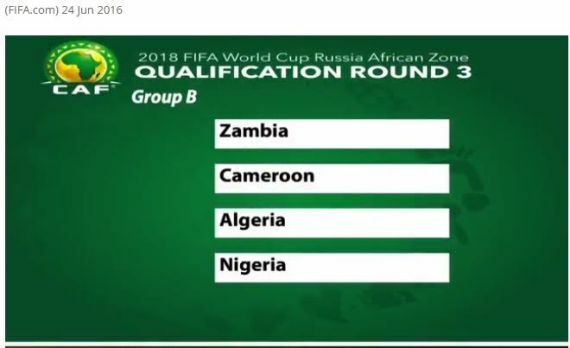 It is however not certain that Nigeria’s hopes of getting more from its oil revenues have been put to bed by this. Nigerians who own property in the UK are also going to find that their rental income will be lower in naira terms. Marriage isn’t a destination but a journey of a lifetime and because of its sensitivity, utmost care is needed before saying yes to any man or as a man before taking any woman to the altar so that you don’t end up messing up the institution and altering God’s plan for your life. There are a lots of factors that make people especially ladies rush into marriage, forgetting no one will stay in that marriage with them. When you rush into marriage without knowledge on how God designed it and how to make it work, you will surely rush out in no time. If a together forever Marriage is your wish, then patience is needed not minding your age or the pressure being mounted on you by Families and friends. Taking a critical look at the word marriAGE, one will notice it even has AGE in it which depicts maturity.This is very important in AGE and other factors embedded in the AGE. Let’s look at what the acronym AGE in marriage means. ACHIEVEMENT is talking about what you’ve gained in life, what level are you, what have you done for yourself that’s worthy of note and who are you modeling after? Before you can achieve anything great in life, you must have people (great achievers) that have been mentoring you on how to handle Achievements and grow in line with your vision. GROWTH- this is very important, some people become relaxed after a level or phase of achievement which makes them end up retarded in life. If you are satisfied with your level, you can never grow in life. You must strive to get better because complacency is an enemy of growth. What about spiritual growth or you are just stagnant? EXPERIENCE- are you experienced in anything? As a man or woman, are you a polymath? Can you even multi-task as a lady or you grumble when you have many things to do? Experience is gotten form periods of learning, so, before you think of marriage; find a family you can be of service to and learn to gather good experience. You must know how to treat your spouse, have experience on child bearing, reading and training. 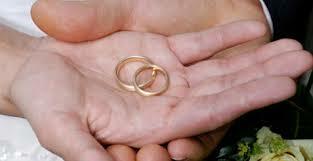 Know how to handle money, manage conflict, handle in-laws and other things in marriage. Therefore, as you are thinking about your AGE – that number on the calendar. Are you aware of the real AGE – ACHIEVEMENT, GROWTH & EXPERIENCE which is the real thing? Has this ever happened to you? You start a business full of enthusiasm. Before you realise it, orders start rolling in. You start making money, your business finally starts working and then you get to a point and you just feel “stuck”. You feel like you have hit some sort of ceiling and no matter what you do, you just can’t get past whatever is holding you back right now. It happened to me recently. I’ve had several experiences like that in the past too. I was feeling overwhelmed. I felt like I was trying to do too much myself and all of the stuff I was doing wasn’t resulting in more time or more income. 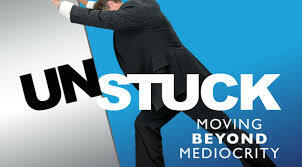 However, I’d like to say feeling ”stuck” is really not a bad thing. It’s a sign that you need to grow beyond your current level. So, don’t feel bad about it. Just find a way around it. This may involve leaving your comfort zone (by trying new ideas). But, it’s worth it. As you get to attain new levels and regain your enthusiasm for your work. Boost Your Inner GameMost times, we jettison the inner game for tactics and strategies. But, let me tell you, a weak inner game is going to sabotage the best business tactic or strategy out here. Let me explain. If your business has grown to the level of offering a premium and expensive product, your inner game can sabotage your making that offering. Boosting your inner game will boost your self-image. You’ll start seeing yourself the way you should. You’ll no longer see yourself as the poor and humble person from one village but as a powerful entrepreneur who can make his or her dreams come true. Also, you’ll be empowered to stop sabotaging your own efforts. As entrepreneurs, I’ve realised we do this a lot. There’s nobody stopping you if you don’t stop yourself. Commit to Personal GrowthInvest heavily in growth resources. But don’t just access them, ensure to implement new information. Be willing to take new risks. Be willing to operate outside your comfort zone. It’s going to engender exciting experiences and it’s going to be tough to do. However, just commit. And don’t forget that your business ceases to grow the moment you cease to grow. Join a MastermindThis should most likely be a group of people who’re pursuing the same goals as you. It helps to have support on this journey as it can really be a lonely path. What you’re trying to achieve may mean losing some friends, who don’t understand why you cannot just keep your achievements at the current level. They just don’t understand why you want to be and do more. Excellence is the possession of good quality in an unusual degree. As God’s ambassadors, we must represent him accurately. Excellence is doing things right. But before we consider how to do it right, lets ensure we are doing the right thing. Excellence in the wrong thing still spells failure. You cannot just be efficient for efficiency’s sake. We must also be effective. Efficiency is doing things right. Effectiveness is doing the right things. 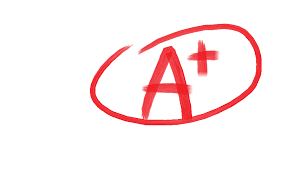 Defining your assignment is the starting point for you to achieve excellence. State clearly your vision in life or the vision of your organization. This defines the limit of the areas in which to achieve excellence as a person or organization. Some people say that you have to choose between quality and quantity. This is not true because the more quality you have, the more quantity you attract. The more you do things better, the more you will be patronized. Things are changing around us every day. A person or organization that is outdated cannot be relevant to a contemporary world. If you are still making use of your old manual typewriter when you are supposed to be doing your work with great speed on a computer, it may mire a lot of things. We must endeavor to up-date ourselves with new technologies. Excellence motivates, especially in an underdeveloped environment like ours. We should inspire the people around us by our actions. Our organizations should be places of inspiration. What is that unique thing you have or your organization has that can inspire other people? Striving for excellence shows people that we are serious about our assignment i.e. what we are doing and encourages them to want to be part of it. No matter how small a thing looks, if you have invested quality thoughts in it, people tend to appreciate and identify with it. Great works are a result of deep thoughts. Like begets like. Excellence attracts good quality; human, financial and material resources. For example if you work in a bank and that bank is known for excellent customer service, i.e. within five minutes a customer has been attended to; people tend to flock to such banks. The same goes for supermarkets, salons, and various companies. Life is progressive and not stagnant. We have to jog to maintain our position. If we remain stagnant, we risk failure. There is no pride in failure. We must appreciate excellence wherever it is found. Excellence attracts. We must strive for it. This is one of the keys to success in life. If you run an organization, then make it an excellence-oriented organization. Look for ways to continually improve quality in services offered, events and your facilities. Communication – i.e. 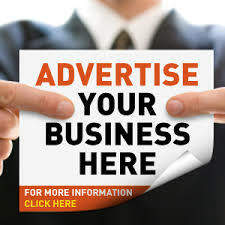 your advert materials must portray excellence. Customer service – when a service is good, one person tells a maximum of 5 people. But when the services are bad, one person tells 20 people. Now only 4% come back to complain but the remaining 96% speak with their feet. Creativity- your staff must keep churning in ideas about how to do things in a better way. Staff trainings – staffs should be exposed to world class improvement programmes for better performance. It is vital to keep learning. The painting of the facilities and landscaping of the environment. Keep the plants and grasses well trimmed and all directional signs freshly painted. The environment should be well lit, has comfortable seating arrangements and the temperature should be well managed with a cooling system. The rest rooms should be clean. Visitors may forget what you say but not the memory of a foul-smelling restroom. The appearance of staffs says a lot about your organization’s priority for excellence. The excellence-oriented organization invests money in what people can see. Human beings are generally motivated and affected by what they see. Excellence is more of a process than a product; a journey, not a destination. We should not make excellence a one- time goal. The key is never to stop learning. When you stop learning, you stop growing. Upgrade from time to time. About 80 Massive Job Positions Opened at Smart Partners Consulting Ltd. Interested candidate must possess any of the following; SSCE, OND, NCE, B.Sc. Candidates residing in Amuwo Odofin, Oriade and Ajeromi Local Government will be preferred. Interested and qualified candidates should send their CV's with passport photograph to: vacancy@smartpartnersng.com Kindly indicate position of interest on your email subject. Note: Successful candidates will resume work immediately. 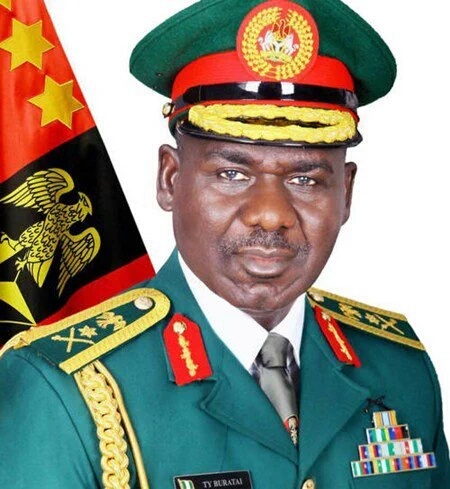 According to The Herald, the Nigerian Army, has reacted to a media reports that the Chief of Army Staff (COAS), General Tukur Buratai, and his two wives are joint owners of a Dubai property that was paid for in one transaction. The army said there was nothing illegal or secret about the properties as Buratai listed them in his Assets Declaration Form. This was contained in a statement issued by the Acting Director Army Public Relations, Colonel Sani Usman. Usman in a statement said: “It is important to know that these baseless allegations were not new. In March this year, some groups of individuals under the aegis of “Concerned Citizens”, tried same smear campaign to their disappoinment, it could not fly, because it is not true. “You will recall early this week, there was similar campaign of calumny by yet another online news medium, in which among other things, it alleged that wounded in action Nigerian Army personnel were abandoned by the Army, government and the nation which is not true. “Therefore, the latest round of smear campaign by this Online Medium is one of the series of campaigns of calumny by these faceless individuals to malign the Chief of Army Staff and the Nigerian Army. Yet, typical of blackmailers and mischief makers despite failures, they did not give up, hence they now found a willing accomplice reputed for muckraking like this medium. “The online news medium this evening (Friday) uploaded another campaign of calumny allegedly based on a petition by obviously fake and non-existent group it described as“Concerned Soldiers and Officers From the North East”. “The allegations contained in the write up are baseless and not correct. It is a fact that the Buratai family have two properties in Dubai that were paid for instamentally through personal savings three years ago. “This, along with other personal assets have consistently been declared by General Buratai in his Assets Declaration Form as Commander Multinational Joint Task Force Commander and as Chief of Army Staff. “It is pertinent to state that the Chief of Army Staff does not have any account with Skye Bank as alleged, let alone making deposits in the imaginary bank account to the tune of the amount stated in the write up. “Similarly, he has not been involved in any form of shady or dishonest transaction, not to talk of “contract scam”. “It is really worrisome that some people could condescend so low to fabricate baseless allegation against the Chief of Army Staff for reasons that could best be described as mischievous. It is equally worrisome that this Online Medium could lend space for this obvious mischief. We really do not believe that it is because the price is right. “Consequently, the public and indeed all well meaning persons should disregard this round of campaign of calumny against the Chief of Army Staff and similar ones because they are baseless and unfounded. The Rivers State Chapter of the Peopattention -(ratic Party, PDP, has on Saturday, June 25, described as shocking and wicked, the many cases of alleged uncovered diversion of funds meant for the rehabilitation of dilapidated public schools in the State, under the administration of former Governor, Chibuike Rotimi Amaechi. The PDP Rivers State Chairman, Bro Felix Obuah, made this observation, while reacting to the published list of persons invited by the State Senior Secondary Schools Board, for explanations over monies received from the immediate past administration, under Amaechi, but not used for the projects so awarded, and some collected, without project sites. The State PDP Chairman, said he was more worried that a government that made so much noise about giving the best education to the Rivers children, could condone such recklessness and allow monies earmarked to renovate the schools and provide the right atmosphere for studying, frittered away with careless abandon. While enjoining the current State government nt to limit its searchlight to the mess in the education sector, Obuah, said this was the kind of fraud the Economic and Financial Crimes Commission, EFCC, should be going after, with a view to recovering the loots and bringing to book the culprits. The State PDP Chairman however, regretted that rather than spread its dragnet for such fraudsters to sanitize the society, the anti-craft agency was busy haunting opponents of the All Progressives Congress-led, APC, Federal Government, innocent citizens, most of whom have spent the better part of their lives in service to the country. “Notwithstanding the collaboration between those responsible for the parlous state of the public schools and the general looting of Rivers State treasury, and the anti-corruption agents, the Rivers State government should not leave any stone unturned in exposing illegalities discovered anywhere in the State, under the administration of Amaechi and those behind them, no matter the social status of their perpetrators,” Obuah stated. He therefore, urged all those implicated in the ghost contracts and looting in Rivers State under the Amaechi administration, to do the needful, by being ready and willing to refund the stolen funds and save the State further waste of scarce resources on litigation. In response, the Rivers State chapter of the APC, faulted the accusations made against the former Governor, and described it as a diversion from the looming investigation by the EFCC, on the activities of the current Governor. The APC, expressed shock about Wike’s resort to wild and baseless accusations, when the noose was tightening on his “inglorious” government. 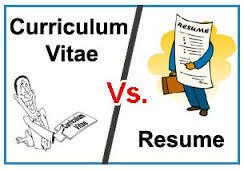 Many Job Seekers are often confused between the terminologies: Resume and Curriculum Vitae(CV). Sometimes, these terms are used interchangeably, but when employers are specific about what they prefer of the two, employees are all the more confused. Unless you’re applying to a job that specifically requests a CV, or are looking for a job in academia, you’ll likely never need a CV — most jobs use resumes. Modern hiring professionals want a quick summary of your most valuable skills — after all, they have a lot of applicants to weed through before they make their list of people to interview. A CV is not brief, nor does it only list the skills needed for any single given job. Instead, a CV is a lengthy document (often more than five pages and almost always more than two) that lists all of your work history, published works, presentations, affiliations and academic achievements. It’s meant to establish your position as an expert in your field. Although that would seem useful for nearly anyone, sending a CV when a resume is called for is a sure fire way to destroy your chances at any given resume-driven job. Obviously, the length of these two documents differs greatly, but there are more than just page counts that separate them. The attitude of a CV is much like what you’d expect, too. It’s very straightforward, offering loads of raw data for an employer. A resume, on the other hand, is more like a sales document and your job history is the thing on special. A resume extracts data from your life and frames it in ways that show a specific employer exactly what you have to offer them. The resume should save potential employers the time of digging around for features and instead present the benefits of hiring you in plain language. Re-evaluate your experience. Think creatively about how your academic experience can be translated into the necessary skills for a non-academic environment. Consider skills of project management, leadership, teamwork, effective communication, and meeting deadlines. Put your strengths first. List your professional experience or your degree first, depending on which is most important for a specific position. Include a well-written job objective; state the type of position and work setting you are seeking, skills or abilities you possess, and long-term goals. Be sure that your resume supports your job objective. List relevant presentations, publications, and papers, but not all. When writing a professional resume, you’re offering up the highlights to a specific audience. A CV provides your career history to anyone and everyone who might be interested. Like with all things in life, you should always use the right tool when you’re job seeking to get the very best results.